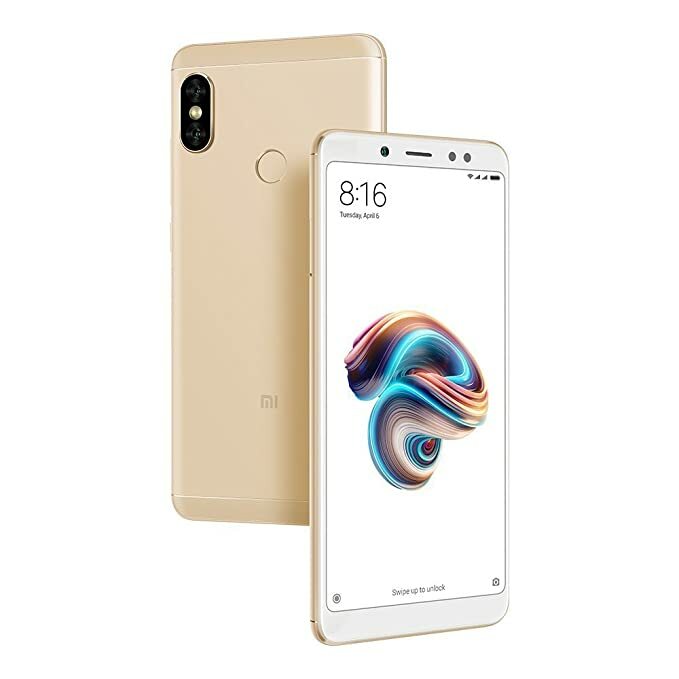 The Redmi Note 5 Pro when launched in the market, started selling like hotcakes even within its initial release. The smartphone was booked everywhere and as it was exclusively launched on Flipkart the stocks were getting full as fast as flash! Be it in Redmi stores or on Flipkart, it was surely tough to find one! But if you are reading this article then yes, there are high chances that you have got your hands on the Redmi Note 5 Pro. Now the smartphone is indeed remarkably great, be it with its display, camera, metal body, or even with the ways you can unlock this device. As the phone comes with both fingerprint sensor and a face unlock! Now, talking about the fingerprint scanner it is very much similar to Redmi Note 4 and Mi A1. And for the benefits, setting fingerprint lock is sure convenient too. Just hold your device, place your finger on the scanner and whoosh! Your device will now get unlocked without having to type any password, prin or pattern. So, if you are someone who has Redmi Note 5 Pro and is scratching your head wondering how to set a fingerprint lock then you are at the right place! Just follow the steps that are mentioned below and learn how you can set a fingerprint lock in Redmi Note 5 Pro. To set fingerprint lock on your Redmi Note 5 Pro, go to your device’s “Setting” (you can find this in your app drawer, it has a gear-like icon). Next, go to the subheading of “System & Device” and under that tap on “Lock screen & Password”. Now, go to the first option of “Add fingerprint”, and then enter your device’s password or pin (if any). Next, to add your fingerprint, place your finger on the sensor (this will be at the back of your device underneath the camera lens). Once you placed your finger on the sensor, keep lifting it after you feel a vibration. As your finger will get register, the diagram of the finger on your device’s screen will get in blue color. So, move your finger accordingly to cover the sensor completely. (You will be guided with on-screen instructions throughout the process). After that, your finger will get added, and then enter the name of your fingerprint lock by tapping on “fingerprint1”. Once entered tap on “Done” from the bottom of your screen and that’s it your fingerprint lock will get registered. Once, you have set your fingerprint, you will get an option to either set it as Lock Screen, Privacy Password, or as an App Lock. You can select your preferred option by turning on the toggle. Note: You can also add multiple fingerprints too with the same method and steps that are mentioned above. But the maximum limit of fingerprints that you can register is five. Now, if you want to delete your fingerprint lock for whatever reason you can still do it, by just following the steps that are mentioned below. Next tap on “Manage fingerprints” and then you will get the name of your added fingerprint, so tap on it. Now, tap on “Remove fingerprint” and confirm your command by pressing “OK”. And that’s it done, your fingerprint will now be removed. So, these were the steps through which one can easily set fingerprint lock in Redmi Note 5 Pro without any hassle. Also, the fingerprints can be deleted at any point or their name can also be changed. And if you still have difficulty to understand the process, don’t worry on-screen details are always there to guide you. So, if you find this article helpful or interesting, share it on social media with your friends. And also mention your views in the comment box below.